SPRINGFIELD – State Senator Linda Holmes (D-Aurora) has passed legislation in the Senate Agriculture Committee to address a number of issues regarding animal shelters and foster groups, licensing fees and feral cat programs. Senate Bill 61 increases licensing fees under the Department of Agriculture for the first time since 1971. It also changes rules regarding adopted dogs and cats and the facilities that provide foster homes and transport pets for adoption. Clarifies the limits of four foster pets or two litters in foster homes. 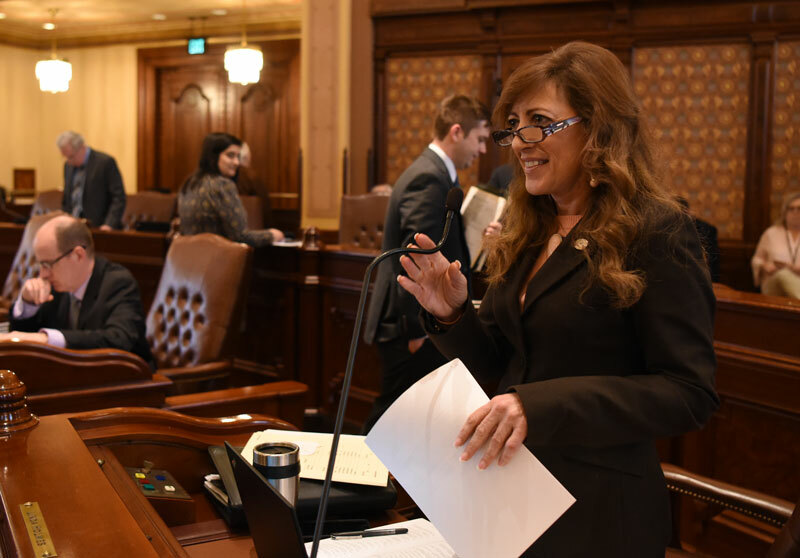 Senate Bill 61 includes input from the Illinois Department of Agriculture, Best Friends Animal Society, Illinois Humane Society and the Illinois Animal Control Association. With a unanimous vote in the Agriculture Committee, Senate Bill 61 now moves to the full Senate for consideration.